Comprised of the UNESCO World Heritage sites of the Rock Sites of Cappadocia and Göreme National Park, Cappadocia is located on the central Anatolia plateau in Turkey. It is described by UNESCO WHC as a plateau within a volcanic landscape sculpted by erosion to form a succession of mountain ridges, valleys and pinnacles known as “fairy chimneys” or hoodoos. The density of its rock-hewn cells, churches, troglodyte villages and subterranean cities within the rock formations make it one of the world's most striking and largest cave-dwelling complexes. Click HERE to watch it on You Tube or click the thumbnail below. 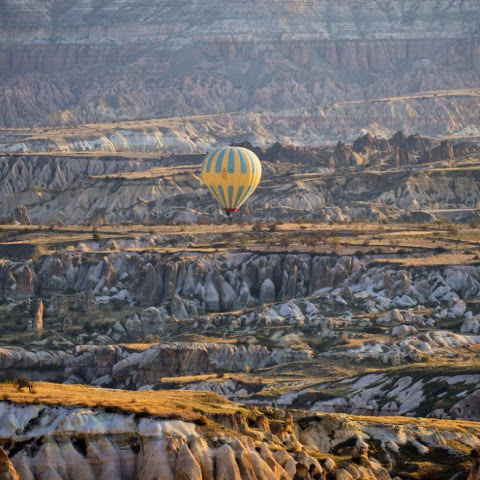 It was early dawn when we left our hotel for a hot air balloon ride over Cappadocia. 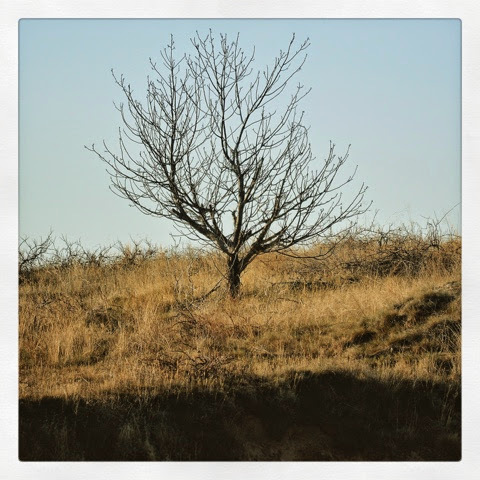 Our driver navigated through the labyrinth of narrow roads, and headed towards a hillside walled by rocks with doors before finding our balloon in an agricultural area. I wasn’t sure whether our driver was lost looking for our balloon launching area because by the time we got there, many balloons of different colors, designs and markings were already up in the air. Suddenly, the sound of air blasts whooshed on the gentle morning breeze. I was surprised that we did not have to go through the preliminary procedures of signing a multi-page contract releasing the balloon company from any liabilities like the process I went through when ballooning in California. With no or very little safety instruction, eleven of my co-riders and I went inside the basket. 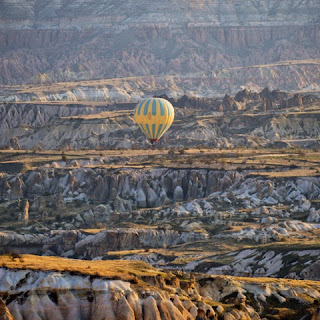 Soon our balloon pilot effortlessly maneuvered through the Cappadocian sky above chimney stacks of pillars. Our balloon was among the many balloons that hovered above the fairy tale landscape. Sunrise and sunsets usually have a special place in my travels, but I was so intrigued by the various scintillating display of rock pillars, cones, towers, obelisks, mushroom-shaped rocks and fairy chimneys that I did not even notice the effect of sunlight on the spectacular scenery until the golden light of the morning sun glared directly into my eyes. Everybody was so quiet throughout the ride, probably taking in the spectacular scenery. The stillness was broken only by the clicks of the cameras and the air blast whooshing sound as our pilot fed more flame into the envelope. *Kapadokya Balloons claim to be the first private commercial passenger hot air ballooning company to be licensed in Turkey and they have pilots with superior experience. According to their website, they have the newest luxury aircraft, safest and most comfortable balloons available in the world today, and their insurance cover and safety standards far exceed that required by the Turkish, European and American standards.